By @SimonCocking. Review of the SONY Action Cam. 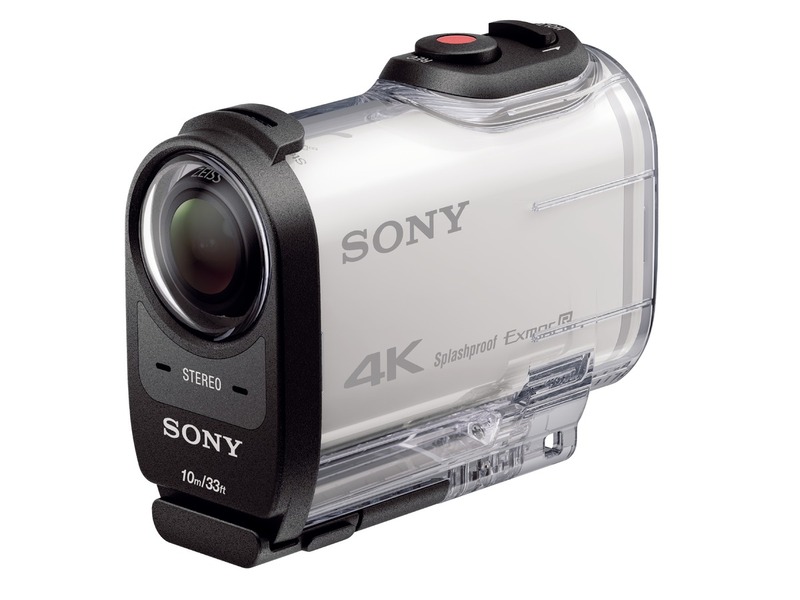 Since reviewing the SONY action cam last year they have continued to improve and update the the camera, demonstrating their willingness to battle it out to be the best action camera in terms of quality and price. Overall they have been successful with some good innovations. As a left handed user we also appreciate the ability to turn the wrist display ‘upside down’ to work correctly for a leftie. The model features a huge 170° field of view, with an ultra-wide angle ZEISS Tessar® lens giving a panoramic perspective, (though fortunately not too wide angled). Newly-enhanced advanced SteadyShot ensures footage is clear and stable. The sound quality is good. The high-quality stereo mic on both cameras now features new Wind Noise Reduction, this seemed to work pretty well. It’s also helpful that it comes with a good range of mounts and accessories which does give you more options in terms of where to put it. We found putting it on the side of a kayaking helmet worked pretty well and captured good footage without being intrusive to your movements. It has good battery time. We put it through it’s paces on a two to three hour kayak and it was able to capture the footage well. The great thing about this, is that it then allows you to just leave the camera rolling and get on with what you are doing. Which can sometimes be important if you are trying to keep a kayak afloat, or navigating large amounts of sea life around you. We also tested it in live action situations, and the camera probably fared better than the camera man! Overall it is a great camera to use. One good UX design tweak would be to ensure that there is only one way to put the memory card into the camera. We had a day or two of trying to puzzle out why the wrist control was not talking to the camera. When we finally worked out that there were two ways to put the memory card in – a right way and a wrong way – we felt pretty silly. However when we looked it on line it seemed like we were not the first people to have experienced this problem, so it seems like a smart design flaw to tweak.